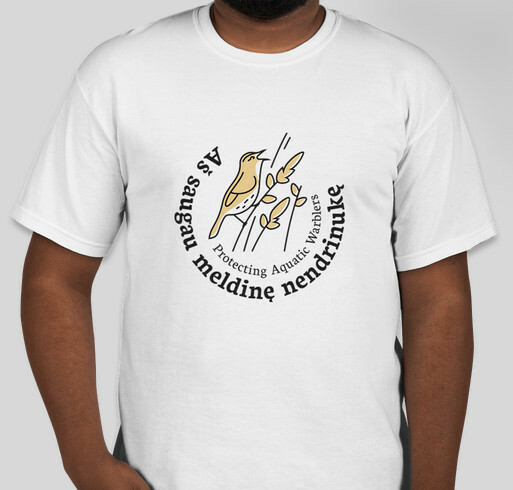 By buying a shirt you support the Baltic Environmental Forum's efforts in protecting the endangered aquatic warbler - Europe's rarest songbird! All funds raised will go directly to Baltic Environmental Forum Lithuania . We ask you to support our work protecting the endangered aquatic warbler at the Baltic Environmental Forum. Your donation will contribute to habitat restoration efforts, provide resources for continued translocation and study of these birds, and allow us to inform and educate people about the warbler and the important role it plays in its ecosystem. The aquatic warbler population is fragmented and rapidly decreasing as more and more of its habitat is being destroyed across Europe. We are working to restore these habitats and reintroduce warblers through translocation into decimated populations. Our efforts have allowed us to begin creating an international network of high quality wetland habitats, not only for the aquatic warbler, but for numerous other important species as well. Share Why You Support "Protect the Aquatic Warbler!"